It is the place where adventure begins, the ender of lives, and the legend itself. Dwimmermount (ACKS version) From Autarch is all that and more. And it almost broke me. Well not really but this is the first of a multi part review in which I take a look at one of the most massive products in PDF to come across my hard drive. So for the last week and a half I've been going over the insanely huge Dwimmermount megadungeon from Autarch and at four hundred and twenty eight pages it lives up to its name believe me. This is a dungeon with a very troubled history and Kickstarter back story. I'm not getting into that whole mess nor do I care about the ancient history surrounding that whole sorry episode in the history of the OSR. I couldn't care less about the sorted history of the Kickstarter for the originator of this project. Instead I want to take a look at the descendant of Dwimmermount. 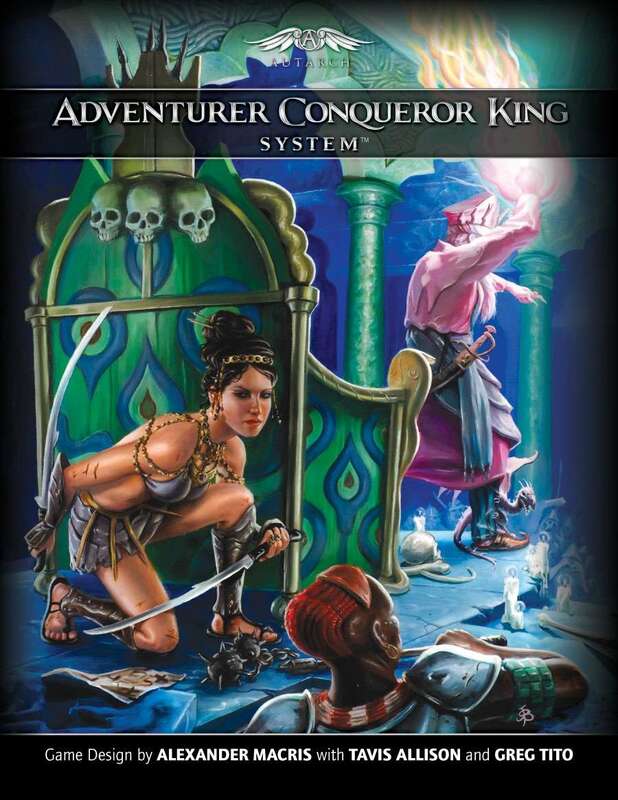 The Adventurer, Conqueror King system has some twists to it and I spend sometime looking and reading up on it before even attempting to tackle this megadungeon. I actually like the system from what I've seen. Its well done and has some very smart twists and turns to it. The skill and proficiency bits are nice. But as a DM you really don't have to know the system to get the most out of this product. So why is it on the Swords and Stitchery blog? Because of its pulp science fantasy roots and some of its material being very much in the OSR science fictional setting. 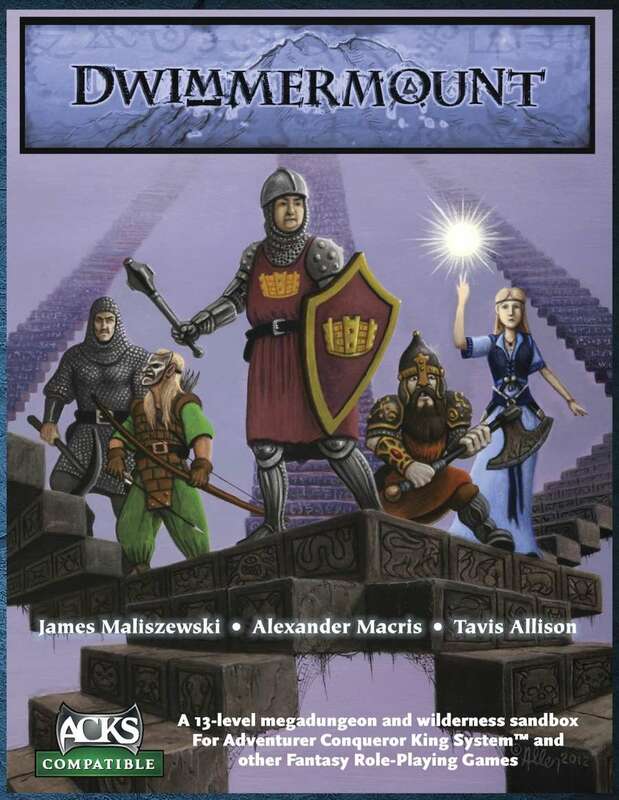 So I'm I rather excited about Dwimmermount (ACKS version)? In a word? Yes it takes the original product and expands upon it to almost four hundred and twenty - eight pages of old school awesomeness. The top of the dungeon is sort of standard with its own twists and turns, then it goes into high weirdness mode as things get more lethal and dangerous as your party delves in deeper and deeper. The text is easy on the eyes. The art work certainly fits the product but this is a mega campaign as well. But what's in the product? The history, setting, timeline, interaction, and back base material for Dwimmermount are essential these are the backbone of the campaign itself and tie into everything about the dungeon. How it all fits together and how this over arching monster of a campaign can fit into your world. That's one of the beauties of Dwimmermount dungeon that it can easily and compactly be fitted right into the back drop of your own campaigns. This book is really a tool kit for the design and care of the Dwimmermount setting itself. The fact is that the Autarch crew have done an excellent job of setting up this book into a whole cloth campaign into itself that can link into the backdrop of your own dungeons and that for me at least is part of its charm and OSR style. There's a lot to this beast and using it is going to take time, patience, and a whole lot of build in with it. That's not a bad thing at all. There's plenty of room here for DYI improvement to shoe horn it into your own campaigns. Does this campaign live up to its hype? Yes, I think so because of the care and feeding that has been done into the quality of Dwimmermount (ACKS version) but this is a very different and highly expanded beast then the original incarnation in my humble opinion. There are a metric ton of monsters here with their own motives, motivations, and agendas for your PC's along with a world into itself which is Dwimmermount. PC's are going to be changed forever going into this megadungeon. There are everything here from PC options to leveling up to simply having your PC killed outright. There are sections of sheer nasty and lethality that are going to take PC's by surprise. 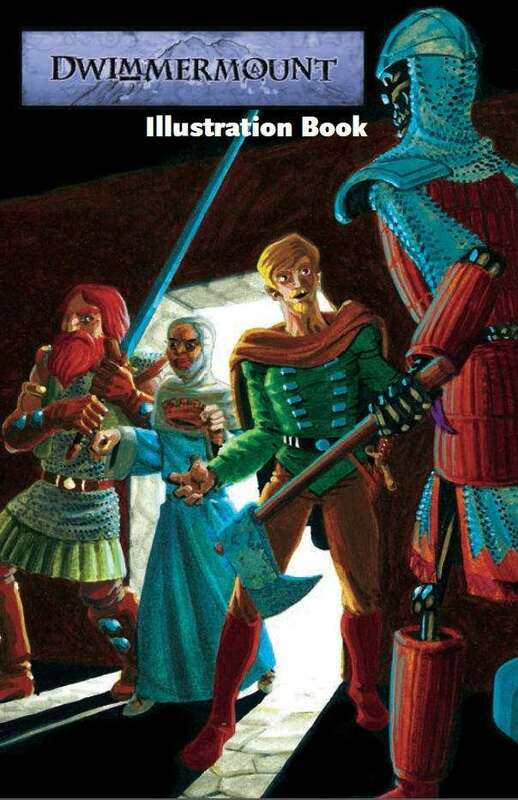 This is only the tip of the OSR iceberg here even if its a well written campaign your going to need a few things as well even though their optional. The maps are very well done but you as the DM are going to want the optional map book. The second piece of equipment whist running this monster is the art book. If you want to show your players exactly what the hell their getting into grab this book. Which really brings me to the whole point of Dwimmermount which is the investment factor itself. And I'm not talking about money here but time as well as energy. All of those are going to come into play with running this monster. This campaign is compatible in some respects to fully thought out old school dungeon ecologies. There are plenty of set dressings, ideas, monsters etc that are pulled from this product and will engage your PC's for a very long,long time to come if used properly. This product if used correctly could connect a plethora of old school campaigns for years and years to come. And that brings me to the end of part I. Part II will be coming up on Saturday evening. Bottom line do I think its worth getting into? Yes for a plethora of reasons that we'll be exploring soon. "I could care less about the sorted history"
Thanks S.R., its been edited and corrected. I wrote this at about two A.M. in the morning which didn't help my typing skills. However I did enjoy the campaign read through. Very nice stuff in my humble opinion.